McGovern was there in the skies over Europe during World War II, flying 35 combat missions in a sturdy B-24 bomber. His perilous missions earned the 21-year-old pilot the Distinguished Flying Cross. McGovern first learned to fly in the Civilian Pilot Training Program. He took eight hours of instruction in a government-supplied, single-engine Aeronca before soloing on a windy day over Mitchell, S.D. In the fall of 1941, McGovern saw B-24 bombers for the first time at a local airport but couldn’t have imagined that he would soon be in command of one. In a matter of days, he had enlisted in the Army Air Corps and was sworn in at Fort Snelling, Minn. After basic and advanced pilot training, the Army trained McGovern to fly the B-24 Liberator in 1944. In September 1944, McGovern was posted to the 741st Squadron based in Cerignola, Italy. The squadron’s mission was bombing Hitler’s oil refineries in Germany, Austria, Poland and Czechoslovakia. The boys of his crew decided that since he was the only married man on the ship, their B-24 should be named the Dakota Queen, as a tribute to his wife Eleanor. Over the course of 35 harrowing missions against Axis military sites, McGovern and his crew braved terrible danger. His last mission might have been his worst. On April 25, 1945, the Dakota Queen joined all four squadrons of the 455th in an air assault on heavily defended Linz, Austria—Adolf Hitler’s hometown. The flak was intense, riddling the Dakota Queen and its crew with shrapnel. Clubs? That’s easy to figure out. The cell phone? He’s still an incredibly busy man. And Pete Luster? He’s the latest in a short list of chief pilots—a “good little fraternity”—who have shared the cockpit with Palmer. That list includes Charlie Johnson, who would go on to head Cessna, and Lee Lauderback, who’s made a name for himself at Stallion 51. 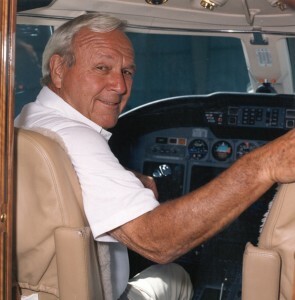 Arnold Palmer has spent a lot of time in the air, much of it in the left seat. The legendary professional golfer has about 18,000 flight hours. He spent time building model airplanes when he was a child, but credits an experience when he was 20 for his rekindled interest in aviation. While traveling on a DC-3 to an amateur golf tournament, the plane flew through a thunderstorm. He would find out that it was an electrical phenomenon known as St. Elmo’s Fire. That incident prompted Palmer to want to learn more about aviation. Later, when another friend introduced him to acrobatics, he vowed to learn to fly when he could afford it. In 1955, when he finished the year on tour, he began taking flying lessons, and soloed in 1956, getting his private pilot’s license that same year. In his early flying days, he trained in Cessna 172s, 175s and 180s, and began chartering aircraft. Palmer bought his first plane, an Aero Commander 500, in 1961. In 1963, he traded up to a Commander 560F. 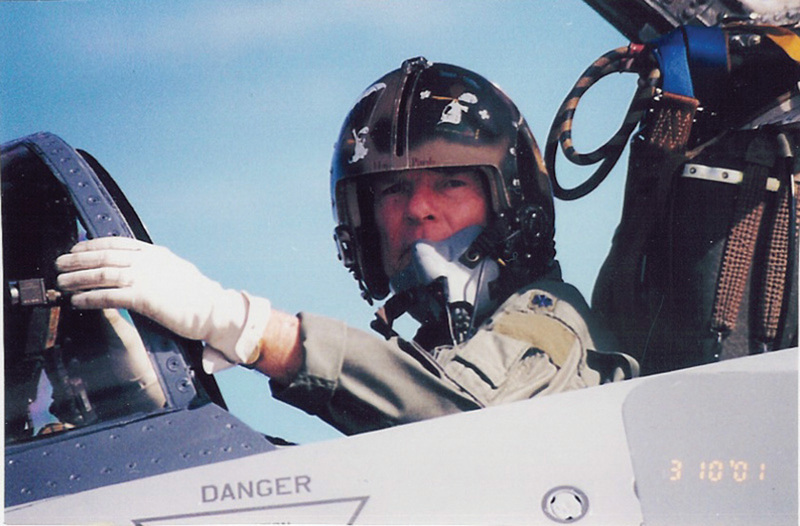 He acquired his first jet, a Rockwell Jet Commander, three years later. After that, he flew a Lear 24 for nine years. Later, he started a long-term relationship with Cessna aircraft, through his attorney, Russ Meyer, then chairman of Cessna. He’s worked his way from a Citation I to a Citation X. Some pilots who have gone from flying turboprops to flying jets like the Citation X have lamented the fact that their days of “pleasure flying” are gone. Palmer takes a different attitude. “My pleasure ‘is’ flying my jet,” he says. The day was March 10, 1967, and Capt. Bob Pardo was flying an F-4 Phantom out of Ubon Royal Thai Air Force Base, Thailand. He had been sent on a mission to strike the only steel mill in North Vietnam, in Thai Nguyen. Flying tail end Charlie with a strike force escorting F-105s, Pardo was within about 50 miles of the target when Earl Aman and his backseater, 1st Lt. Robert Houghton, took a hit, and then, arriving at the target, took another from antiaircraft fire. Soon, Pardo and his backseater, 1st Lt. Steve Wayne, would also be hit. As they left the target, Pardo lagged behind, mindful of Aman’s seemingly more critical problems. With both dangerously low on fuel, Pardo had continued to fly formation with Aman, until eventually, after trying other methods, he was able to push Aman’s ailing craft to relative safety. Breaking branches and limbs as he went along, eventually his canopy collapsed and Pardo found himself freefalling, then landing in rocks, where he stayed slightly conscious for a couple of minutes, before slipping into unconsciousness. When Sydney Pollack, Academy Award-winning director, producer and actor, thinks about flying, a couple of words come to mind. “I would say the first word is ‘careful,’ followed then by the word ‘freedom,'” says Pollack, adding that with the kind of flying he does, it’s important not to get those words out of order. That kind of flying is from the left seat of a Cessna Citation X, a mid-size aircraft that’s the fastest business jet available today. He’s been piloting the jet for three years, and bases it at Clay Lacy Aviation, at Van Nuys Airport in California. Pollack said that as a child, he had a normal interest in aviation, but it wasn’t until after he got married and was in the Army Reserve that he really got interested. His wife’s father, a general in the Air Force, had a Boeing Stratocruiser assigned to him, and gave Pollack a ride in it. The next turn of events that led to his “obsession” with aviation was a ride he took with screenwriter and producer Roland Kibbee. Pollack says that the most difficult thing about flight training is that he has “a day job.” He described the two-week Lear school he attended as grueling, but said the 21-day Citation X course was worse. Although flying is a lot of work these days, he says it’s definitely worth it, and he’s given a lot of thought as to why it is. Bob Pond is proof that when you do what you love, the rest will work itself out. Perhaps no other place proves the validity of this multimillionaire’s daring philosophy like the Palm Springs Air Museum in California. There, enthusiasts from all generations still gather to enjoy his extraordinary collection of fighting airplanes and dashing automobiles. From his first bumpy ride at Chicago’s Meig Field in 1935, to flying PBY4 bombers for the Navy Air Corps during World War II, Pond has loved piloting a diverse range of aircraft. In more than 60 years of flying, he’s amassed 22,000 hours. The celebrated businessman made his fortune by growing his grandfather’s Advance Machine Company into the world’s leading manufacturer of industrial cleaning equipment. When his business career started to take off, he was the first to recognize the utilitarian nature of airplanes. Then, once he had his feet under him financially, in 1970, Pond took advantage of his success to start collecting aircraft, beginning with a P-40 Warhawk and a P-51 Mustang. His collection grew to include a whole range of Grumman “Cats,” a rugged B-17 Flying Fortress, a Spitfire and two Douglas A-26C Invaders. 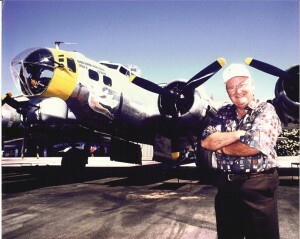 His B-25T Mitchell is one of the most flown aircraft, appearing in the film “Pearl Harbor,” and still highlighting air shows at the museum. A lifelong fan of automobiles, Pond has also accumulated a collection of more than 100 classic cars. But it’s not just airplanes and other high-velocity vehicles that get Pond’s attention these days. He also gives a great deal of time, money and energy to ensuring that future generations are given the same opportunities that he enjoyed. 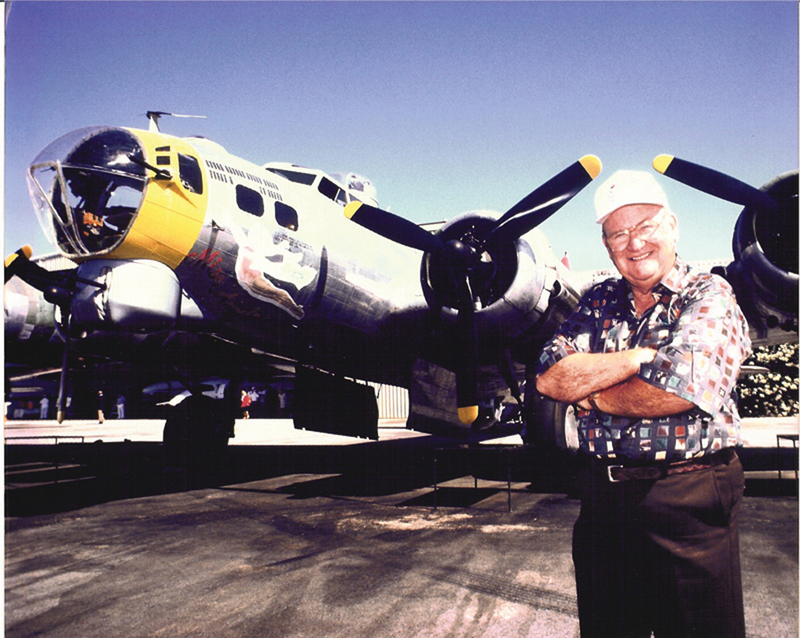 He funds a number of significant projects and scholarships at his alma mater, the University of Minnesota, but his heart belongs to the Palm Springs Air Museum. It wasn’t a stretch for Dennis Quaid to play Capt. Frank Towns in “The Flight of the Phoenix.” Quaid has been a pilot since the early eighties. He decided to learn to fly to ready himself for the role of Mercury astronaut Capt. Gordon Cooper in “The Right Stuff,” released in 1983. Before that, Quaid admits, he was afraid to fly. He recalls his flight with the expert pilot that would help turn that fear to excitement. In 1981, Quaid soloed in a Cherokee 180. “I think every pilot remembers that moment,” Quaid grins. In his early days of flying, Quaid rented various aircraft, before acquiring a TC Bonanza. After the Bonanza, he got checked out for twin-engine aircraft, and bought a Cessna 421, before purchasing a Cessna Citation II. He lists flying over the Grand Canyon as one of his more memorable flights. Vern Raburn has been described as a tsunami—he can’t be controlled or stopped. From the beginning, naysayers tried convincing Raburn, founder and CEO of Eclipse Aviation Corp., he’d never get his very light jet off the ground. Raburn ignored skeptics and kept on going. When we first interviewed Raburn, he had just made it beyond one hurdle—changing the power plant on his Eclipse 500 jet from a Williams to a Pratt & Whitney. That set FAA certification back. “If anyone believes that we’re not going to have our Eclipse certified, they better sit down,” Raburn said at the time. Recently, everyone stood up—in applause—when FAA Administrator Marion Blakey, in a special ceremony at EAA’s 2006 AirVenture, presented Raburn with provisional FAA type certification for the Eclipse 500. Full certification is expected soon. Raburn, Airport Journals’ 2005 Aviation Entrepreneur of the Year, believes that the revolutionary Eclipse 500, a six-place, twin-engine jet, will forever change how people travel point-to-point. He also believes that Eclipse Aviation sets an example of taking risks; it has changed the way others within the aviation industry are doing business. “There’s been no competition in general aviation for a long, long, long time,” says Raburn, who received the 2005 Collier Trophy. He’s speaking in past tense, because there’s competition now. 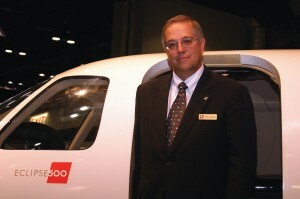 Raburn said the Eclipse 500 was “designed to serve both the existing general aviation market and a new market,” which the company termed the “air limousine” concept. An accomplished pilot, and former executive in the IT sector for several large companies, he began working on his aircraft business concept in late 1997. In March 2000, the launching of Eclipse Aviation Corporation was formally announced. The company revealed that the Eclipse 500 aircraft development program was “designed to apply technological breakthroughs in creating a series of safe, reliable, low-cost, jet aircraft” that would enable transformation of the U. S. air transportation system. A group of high-technology auto and aerospace executives backed Eclipse with the initial funding of $60 million. 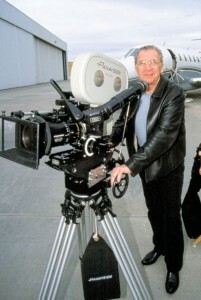 To read more about Vern Raburn and the making of the Eclipse 500, read In Love with the Sky, But Willing and Able to Change It – By Di Freeze, Eclipse Founder and CEO Vern Raburn Won’t be Stopped <http://www.airportjournals.com/Display.cfm?varID=0403003> – By Karen Di Piazza and NAA Says “Don’t Bet Against Eclipse”—Winner of Collier Trophy <http://www.airportjournals.com/Display.cfm?varID=0607004> – By Karen Di Piazza. Brig. Gen. Steve Ritchie, the only U.S. Air Force pilot ace of the Vietnam Conflict, says he’s been fortunate to have had “incredible life experiences.” Those experiences have led him to travel millions of miles, visiting all 50 states and many foreign countries, as a motivational speaker and to support Air Force recruiting efforts. He’s given more than 5,000 speeches for young people, civic clubs, high schools, colleges and nonprofit organizations. According to Stephen Coonts’ book, “War in the Air: True Accounts of the 20th Century’s Most Dramatic Air Battles by the Men Who Fought Them,” Ritchie is the “last of the breed.” He’ll most likely be the last fighter pilot to become an ace, due to the changing nature of warfare. The last chapter of Coonts’ book, “The Last Ace,” tells Ritchie’s story. “Going out west to Colorado and being a part of this big new school sounded exciting though,” Ritchie said. 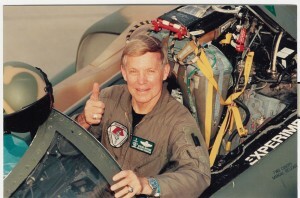 He graduated from the Air Force Academy in 1964, and began his first combat tour in 1968. 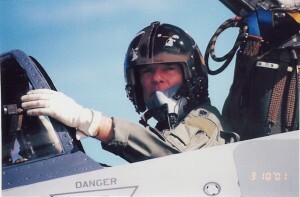 After flying 195 missions with the 366th Tactical Fighter Wing, Ritchie returned to the USAF Fighter Weapons School at Nellis Air Force Base, Nevada, where he would be one of the youngest instructors in the school’s history. On May 10, 1972, Ritchie, assigned to the 555th (“Triple Nickel”) Tactical Fighter Squadron and flying an F-4 Phantom, scored his first aerial victory. On May 31, he scored his second victory, and on July 8, he downed two more MiG-21s. He scored his fifth victory on Aug. 28, while flying his 339th combat mission. Ritchie had become the second pilot ace of the war, the only Air Force pilot ace of the war, and the only American pilot to down five MiG-21s. Cliff Robertson, Academy Award and Emmy Award winning screen star, recalls reading “Time Must Have a Stop,” by Aldous Huxley, years ago, and wondering about the title. 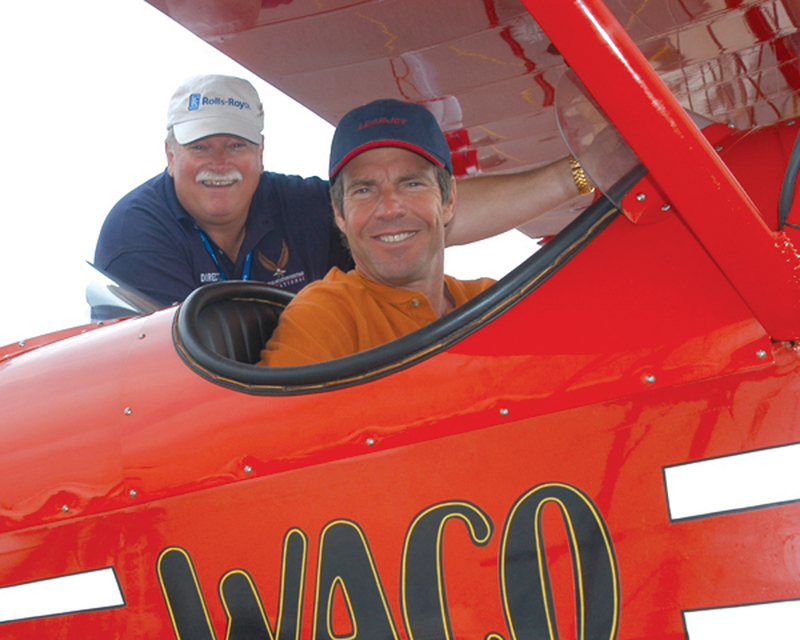 The 2006 National Aviation Hall of Fame inductee would like more time to devote to his immediate family, as well as to his closest friends, and to flying his airplanes. 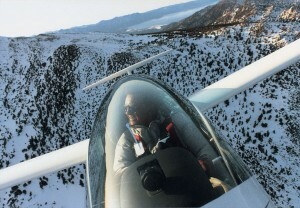 That includes his Grob Twin Astir, a two-place glider he keeps at High Country Soaring in Minden, Nev., on the eastern side of the High Sierras, which he says is the best place to soar in the world. He shares that passion with friends like Barron Hilton, whose Flying M Ranch is about 35 miles from High Country. Robertson has his diamond altitude, for over 26,000 feet. A few years back, he and a friend set a Nevada state record for distance in a two-place glider—240 miles, from Tonopah to Parowan. “I have a big hole in my head and a stable of planes,” says the man who holds single-engine land and sea, multi-engine, instrument and commercial licenses, as well as balloon, gliding and seaplane ratings. Those planes include a Beech Baron 58; a Messerschmitt Me-108, which is on display in the Parker-O’Malley Air Museum in Ghent, in upstate New York; and a Stampe SV4, a French fully aerobatic open-cockpit biplane. In the past, he’s also owned three Tiger Moths, as well as a Spitfire Mk.IX. 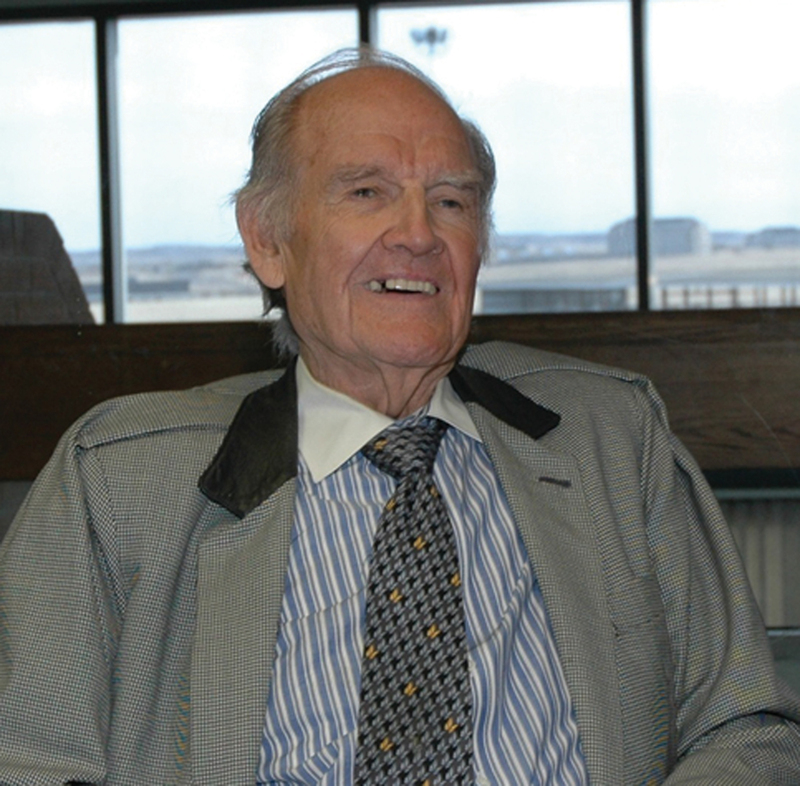 Robertson was a 5-year-old living in La Jolla, Calif., when he became aware of aviation. Most people don’t equate the name of Carroll Shelby with aviation. But automotive industry legend Shelby is a pilot. He’s actively used his twin-engine Aerostar, based at Petersen Aviation at Van Nuys Airport, to commute back and forth to his manufacturing plant. He’s also used that aircraft to fly to his ranch in east Texas. Besides the Aerostar, he owns a Cessna and a fixed-wing ultralight. “This plane is the only thing that I can fly because they don’t allow any pilots with an organ transplant to fly any registered aircraft,” said Shelby, who has had both heart and kidney transplants. He enjoys attending EAA AirVenture Oshkosh, often flying with Chuck Yeager, Barron Hilton and actor Cliff Robertson. When time permits, he enjoys hanging out with longtime racing friend and aviation aficionado Robert E. Petersen, founder of Petersen Aviation and Hot Rod magazine. During World War II, one of his fondest flying memories was dropping letters placed in his flying boots over his fiancée’s farm, while on training missions. He served out WWII as a flight instructor and test pilot of the Beechcraft AT-11 Kansan and Curtiss AT-9 Jeep. In 1956, Sports Illustrated named Shelby Sports Car Driver of the Year. He received the title of Driver of the Year in 1957. His accomplishments as a race car driver include breaking land speed records at Bonneville in 1954 for Austin Healey and winning the 24 Hours of Le Mans in 1959 alongside teammate Roy Salvadori. He was inducted into both the International Motorsports Hall of Fame in 1991 and the Automotive Hall of Fame in 1992. 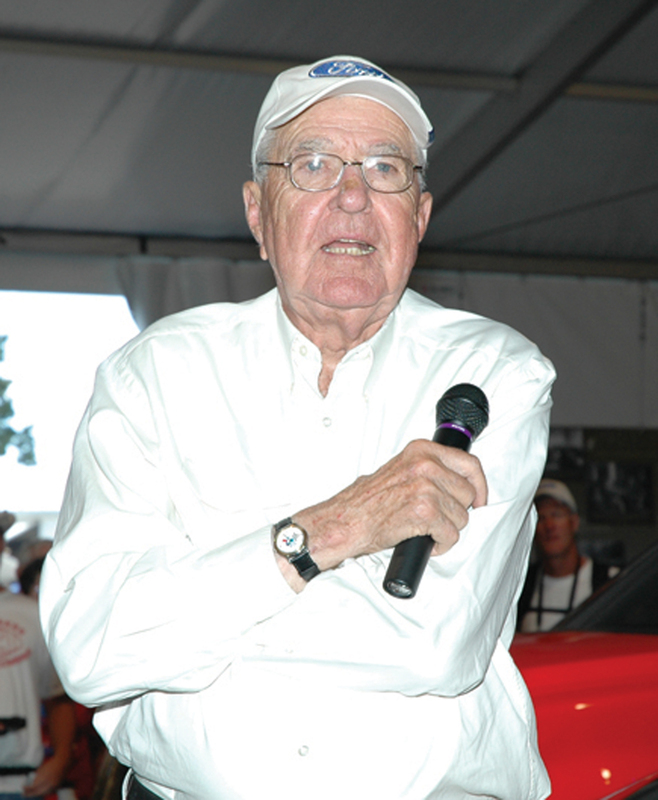 Suffering health problems, Shelby stopped racing in 1960, but focused his talents in other areas. As a team manager, he was a part of the FIA World Grand Touring Championship as well as Ford GT victories at Le Mans. Carroll Shelby became a household name in the sixties, with his 427 Cobra models and Shelby Mustangs he built for Ford. Located in Las Vegas, Shelby American, Inc. has produced at least 40 editions of the Shelby Cobra.